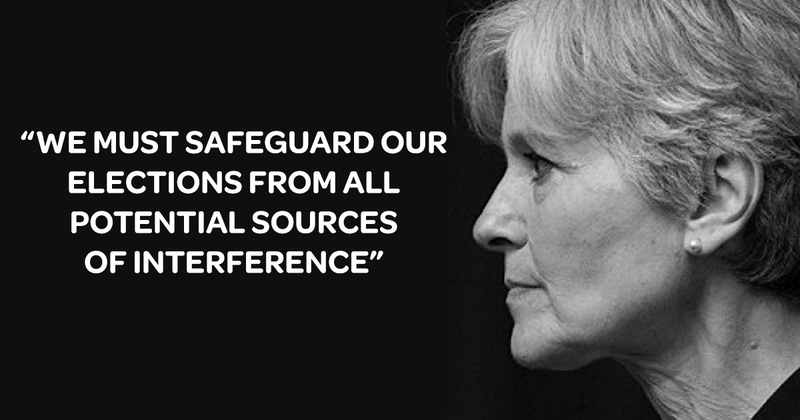 Complying with Senate Committee request, Stein urges safeguarding elections from interference – while cautioning against the targeting of political opposition.Responding to a Senate Select Committee on Intelligence request for documents pertaining to interference in the 2016 election, former Green Party Presidential candidate Jill Stein said she is cooperating by sharing all communications relevant to the committee’s mission. “We take seriously the issue of potential interference in our elections, as demonstrated by our continuing efforts to investigate the integrity of the 2016 election and examine our voting machines that are widely known to be vulnerable, but which still have not been examined for evidence of interference. To restore trust in our elections and democracy itself, we must safeguard our elections from all potential sources of interference, whether by foreign state actors or domestic political partisans, criminal networks, lone wolves, or private corporations – including those who control voting software.”..